3.9 out of 5 based on 41 bloggers and 7 commenters. 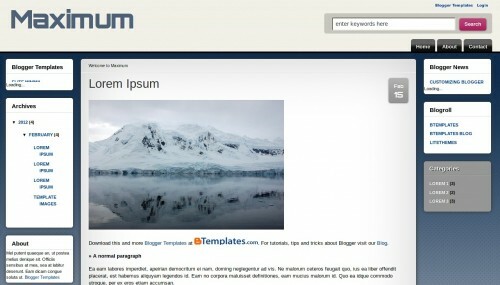 Maximum is a free blogger template adapted from WordPress with 3 columns, responsive design, left and right sidebars, rounded corners and gradients. I like this simple template. but I need to costomize the date. how to set it. @Junielyn Genaro: how you set the date?